In my case, I actually found it easiest to roll my own using the memoir package as a base. It's very well documented, and setting the appropriate margins, double/one-half line spacing, etc. was very easy. And it makes it easy to play around a bit within the thesis guidelines, for instance making fancy chapter headings. The link is currently dead, but that web site can still be read using archive.org (the Internet wayback machine) choosing a snapshot date such as February 8, 2014. The thesis template site mostly just links to available external sites with templates. It provides links to ready-to-go thesis templates of various universities worldwide. There's even a google map for viewing the templates origins on the world map. Besides LaTeX templates there are also LyX thesis templates. UK-TUG have a list of thesis templates from various UK institutions at http://uk.tug.org/training/thesis/. There is also a good generic template at http://www.sunilpatel.co.uk/thesistemplate.php, but I'm note sure any of these are 'pretty'. At least in the UK the requirements tend to be vary much geared around a traditional manuscript style (double spaced and so on). For the spanish speaking community, I maintain a thesis format which can be easily adapted to the requirements of different universities. The format itself can be used to write thesis documents in any language, but it has a spanish option which takes care of loading a suitable set of packages and options to get the entire format consistently translated into spanish. I'm currently writing a (bachelor) thesis myself and just using the LaTeX's own "report" class, I find it meets all of my universities requirements when I only use a custom title page. There is an unofficial class sapthesis for the Laurea, Laurea Specialistica and Dottorato degrees at the La Sapienza university of Rome. Chances are, your institution will have pretty strict specifications for your thesis format. If you're lucky your institution may have a class file or some grad students may maintain a unofficial template. Purdue University (a state school in Indiana, USA) has a document class that may be a good starting point. An additional complication at Purdue is that each department has additional constraints on the formatting so the document class takes an option to specify the department. These templates include many already mentioned here. This website is beautifully laid out and the templates are sorted into categories that make it easy to find the template that is best suited to your purposes. All of the templates have PDF examples and full template code. I am not affiliated with this website in any way but have used it many times. I use tex live utility on the mac to maintain my tex distribution. Specifically I use the ctan repository. On searching for thesis templates, I got style (cls) files for the following thesis formats. More information can be found on their respective ctan pages. My suggestion would be to see which one of these is closest to your university's requirements and then build on that. To search for each of the above theses files, use the following link format: http://www.ctan.org/cgi-bin/filenameSearch.py?filename=afthesis&Search=Search and replace the name appropriately and on the page visit the readme page for more details. Unofficial (but linked from the Graduate School webpages) thesis template for Tennessee Tech University. At the moment, the development snapshot is more advanced (automatic generation of front matter pages, ToC and related list page headers), and is nearly ready to be merged back to the stable version. Only 13 commands required for generating a basic thesis (plus any \include commands for your chapters and appendices). Based off memoir, with hyperref, hypcap, ifthen, indentfirst, listings, memhfixc, nomencl, refcount, rotating, and ted packages required. I just redid the uclathesis class, and in the process collected (iirc without checking) about a dozen thesis classes from various schools in the US and Europe to look at how others did this or that. In the end I used memoir, and it was pretty simple and straightforward, all in all. The part that took the longest (a day?) was the construction of the frontmatter pages (titlepage, signature page, copyright, vita, dedication, acknowledgements, abstract) which all had to have a special format. I could email you any or all of these, and, even tho I'm probably not in the same class as many of the latex coders here, I'd be happy to advise you if you need it, since this is an exercise that I just finished. Illinois Institute of Technology has their thesis class at available from the Graduate College website. A lot of the commands are somewhat nonstandard (for example capitalized \Section commands), so I've been redoing the class file as I work on my thesis. I'll post the result somewhere when the thesis examiner likes it. The Université de Lorraine (in France), and more specifically the LORIA lab, developped a template that can be easily adapted. You may find it at http://www.loria.fr/~roegel/TeX/TUL.html , but this page as well as the documentation is in French. Another template was developped by the "association des doctorants de l'IRISA et de l'École doctorale Matisse en informatique, traitement du signal et électronique", a french team. Russian PhD thesis (Candidate of Sciences dissertation) template compatible with national standard (GOST). NOVAthesis is an active and full featured LaTeX thesis template, designed to be easily accessible to LaTeX beginners. The template is multilingual and easily costumizable. It has considerable large user communities at Facebook (use PT or EN) and Google Groups (use EN only). 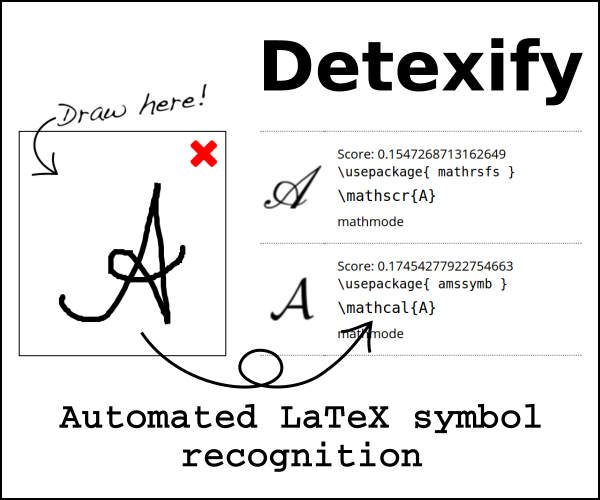 There is also a new blog (in PT) about LaTeX and with tips on how to use and configure the novathesis template. I really like and highly recommend the LaTeX Thesis Template from Matthias Pospiech. It's so huge, it's actually more like a framework, comes with it's own 272 page documentation and is constantly being revised with it's current version from 2018-09-20, compilable with the current TeXlive 2018. This template was developed with all sorts of structured documents in mind that require a good citation and reference framework with a customizable layout. It has so far been used for bachelor, master and phd-thesis as well as the thesis of teachers in their practical year. These theses had all a natural science background, which means that also this template is optimized for the needs of people in natural sciences. Nevertheless it should be easily adaptable to topics in humanities, linguistics or even arts. This template has been used under the supervision of the maintainer by very early beginners and also advanced LaTeX users. The experience was that beginners as well as advanced users are more productive with it because ‘it just works’, while the more advanced users additionally know that they can find all options for later modifications because of the documentation in the code. Not the answer you're looking for? Browse other questions tagged templates big-list thesis resources repositories or ask your own question. Smallest template for a LaTeX Ph.D. thesis? Class for my thesis (I am a beginner, just installed LaTeX)… which document class and packages should I consider? LaTeX templates bundled with MikTeX or elsewhere? Writing a thesis in Lyx using a Latex Template - What am I doing wrong?